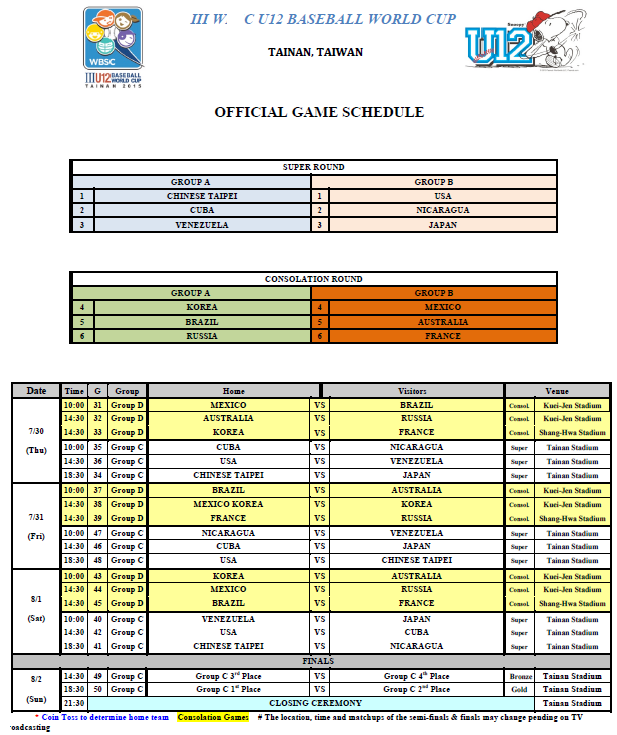 TAINAN, Taiwan – The Opening Round of the 2015 WBSC U-12 Baseball World Cup came to an exciting finish on Tuesday, as six of the twelve participating nations advanced to the Super Group phase that begins Thursday (30 July) and will set the stage for the world championship grand finale on Sunday, 2 August. The four top-ranked nations in the WBSC Baseball World Rankings -- No. 1 Japan, defending U-12 World Champions No. 2 United States, No. 3 Cuba and No. 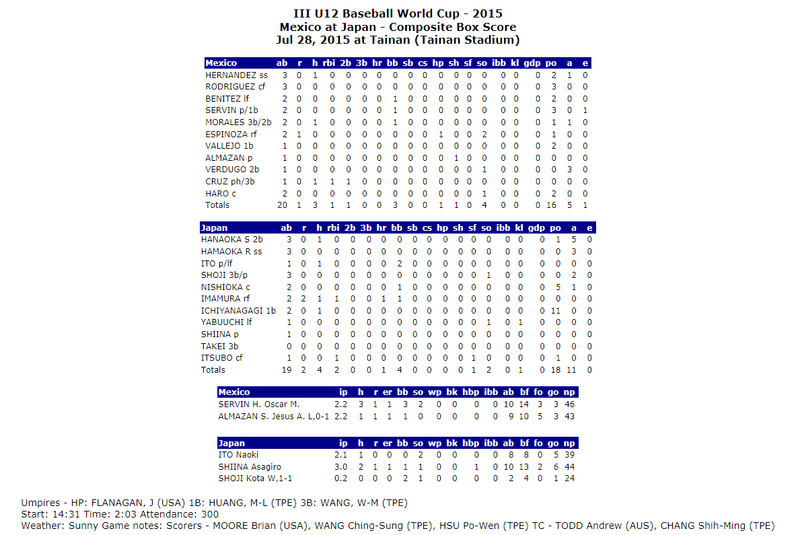 4 Chinese Taipei -- have all advanced to the second round of the 2015 U-12 Baseball World Cup. They will be joined by No. 10 Venezuela and No. 16 Nicaragua. 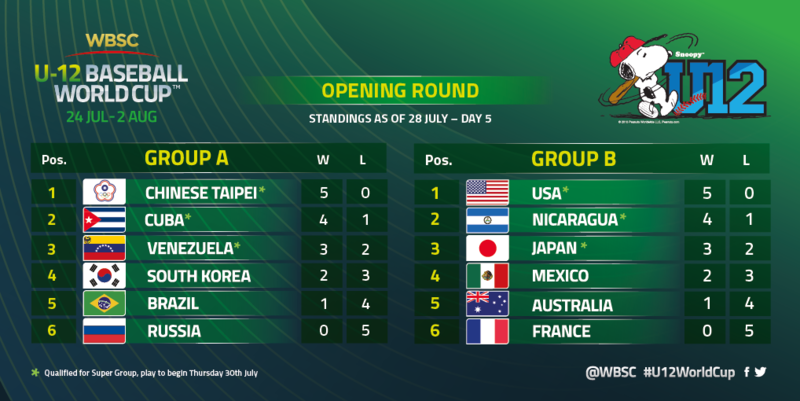 Although both S. Korea (lost to Cuba 0-5) and Venezuela (lost to Chinese Taipei 2-5) finished with a record of 3-2 on Thursday, WBSC Tournament Officials went to the scorecards to break the tie in Group A and Venuzuela advanced to 2nd Round and S. Korea “on paper” has been sent to the 7th -12th place Round.